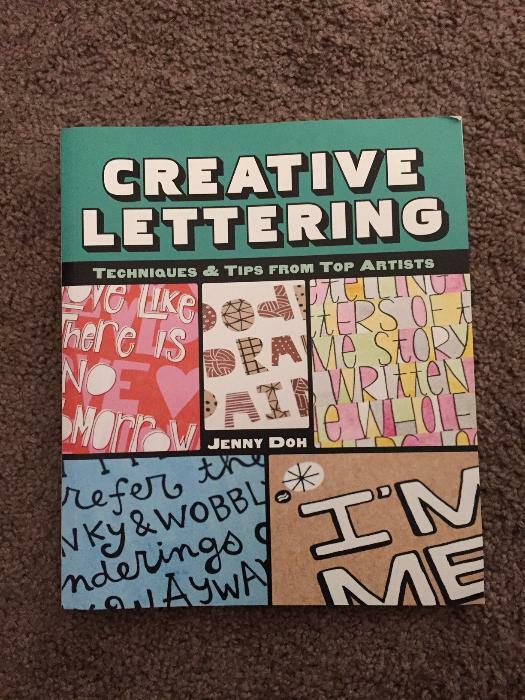 This book is in perfect shape and great for the artist trying to figure out creative lettering. Creative Lettering by Jenny Doh :Hand-lettering techniques are a popular and visually dynamic way to add textual elements to crafts, from journals to mixed-media art. Sixteen accomplished contributors—including calligraphers, painters, collagists, card makers, fiber artists, and graphic designers—give their personal perspectives on lettering. They all offer their favorite tools, how they use them, their signature technique with step-by-step instructions and photos, and an alphabet sampler of their own font. Gorgeous gallery images of each contributor's work are also included.